The stunning, luxurious look of our metal business card range cannot be matched. These luxury black metal business cards are created using 0.5mm anodized stainless steel, with beautiful frost of prism finishing available. Available customizations include die cutting, engraving, variable data, spot colors and more. 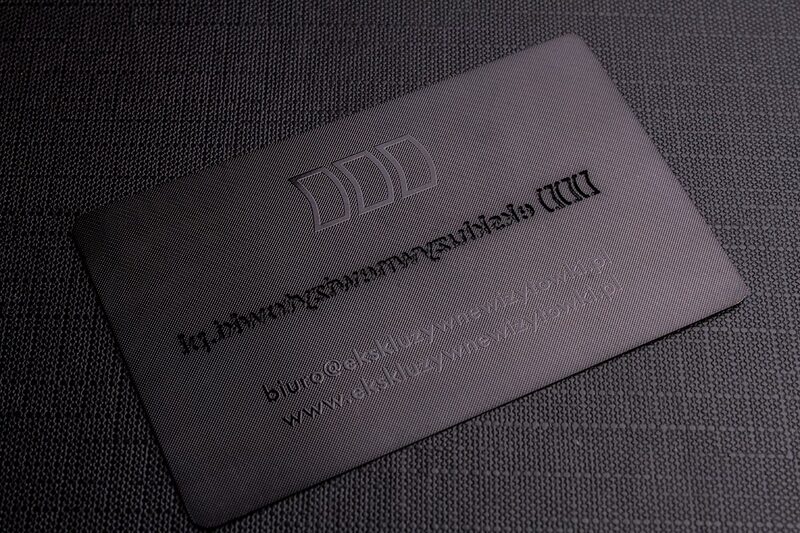 Choose between frost and prism finish for your business cards. Both finishes are obtained by etching a subtle pattern on the card which ensures that no finger prints will be left on the card surface. 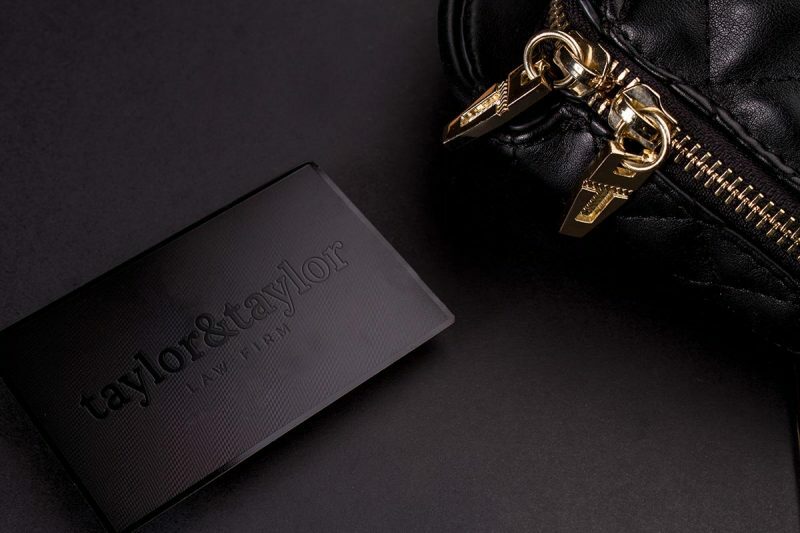 Turns head this season with our luxury black metal business cards. 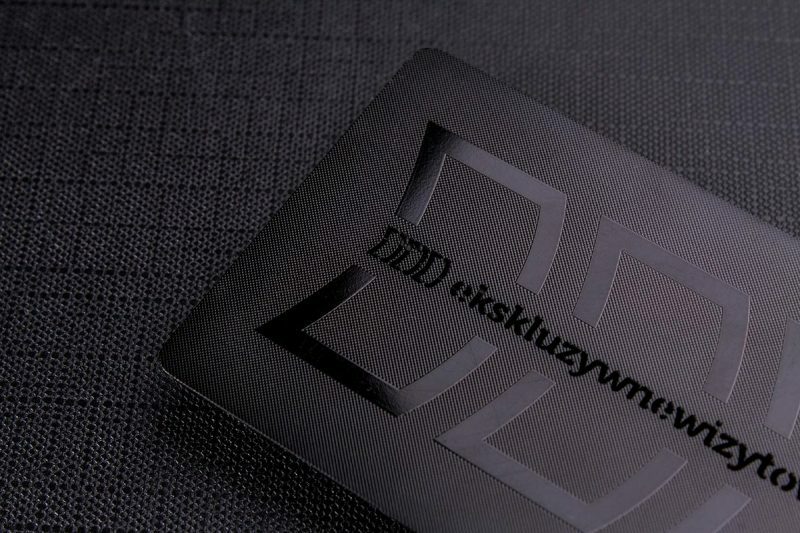 Created using ultra thick 0.5mm anodized black stainless steel, our luxury black metal business cards are an incredible way to create VIP membership cards, business cards, loyalty cards or invitations. Available in both frost and prism finishes these cards can be combined with spot color or etching for incredible results. Prices include die cutting, etching, frost and prism finishes.